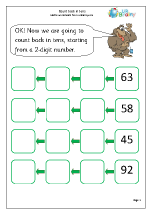 This covers domain reference 2N1: count in steps of 2, 3 and 5 from 0 and in tens forward or back. 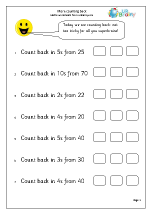 Counting forms a major part of Year 2 maths, including counting on in threes, fives and tens up to at least 100. 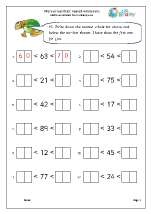 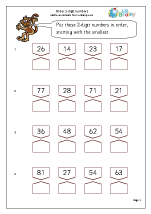 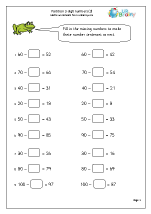 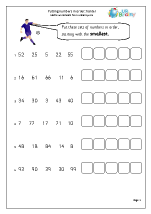 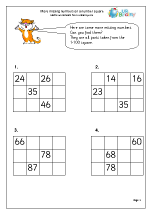 Number grids and squares are often used to help with counting and positioning numbers. 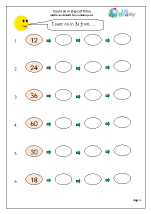 This covers domain reference 2N2b: compare and order numbers from 0 up to 100; use <, > and = signs. 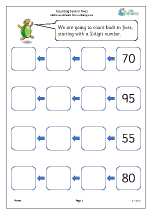 Children will be expected to order numbers up to 100 and use the more than and less than signs. 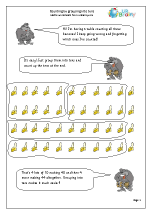 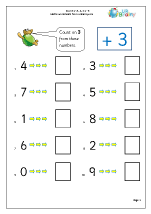 Using > and < symbols with numbers in words. 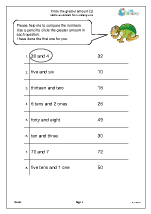 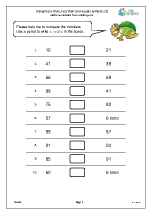 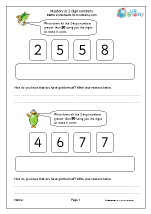 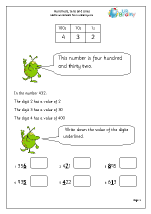 This covers domain reference 2N3: recognise the place value of each digit in a two-digit number (tens and ones) and 2N6: use place value and number facts to solve problems. 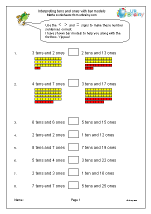 Understanding place value is the key to working with larger numbers. 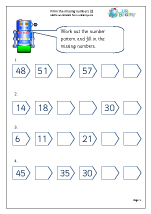 Bar models, abacuses and place value grids all help with this. 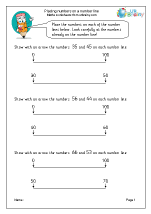 This covers domain reference 2N4: identify, represent and estimate numbers using different representations, including the number line. 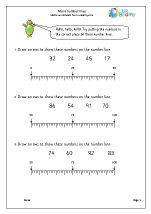 Number lines are a great resource to help with counting and estimating. 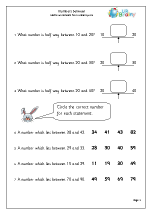 This covers domain reference 2N4: identify, represent and estimate numbers. 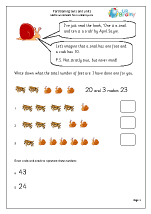 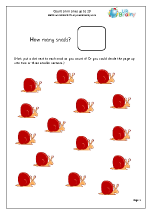 Being able to estimate a small amount is an important skill for year 2 children. 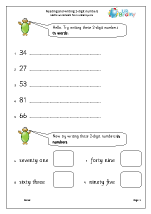 Writing numbers to at least 100 in words is a real challenge which quite a few children will not be able to manage by the end of the year. 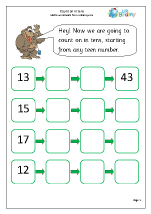 The teen numbers are challenging, such as thirteen and fourteen, whilst when spelling whole tens, forty mysteriously loses the ‘u’. 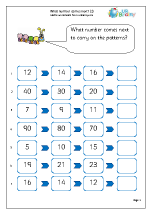 24 can be split up or partitioned into 20 + 4 or 10 + 14 or even 12 and 12. 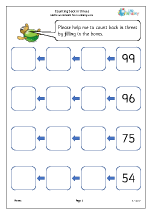 This is important to understand as it helps with written addition and subtraction in later years. 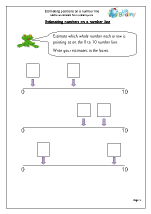 Also it is important to begin to understand zero as a place holder; i.e. 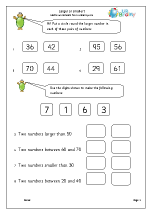 the 1 in 100 has a value ten times the 1 in 10, with the zeros being used as place holders. 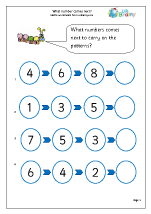 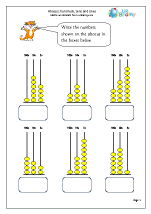 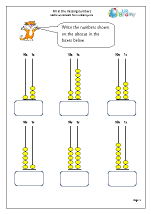 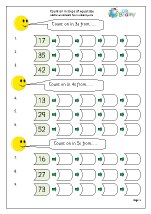 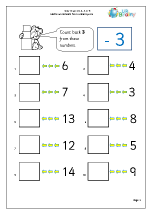 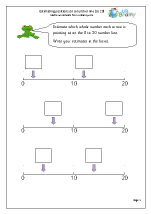 Counting in multiples of 3 is a new target, introduced to help later with understanding the concept of a third. 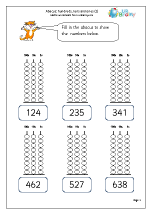 The ‘more than’ and ‘less than’ signs are introduced for the first time; terms which in the past were introduced much later. 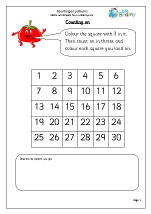 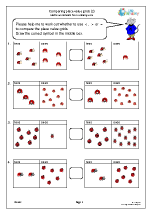 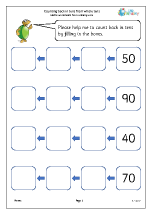 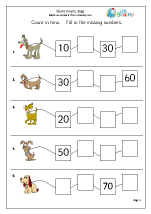 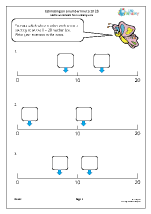 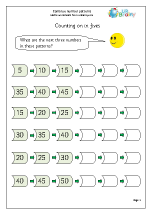 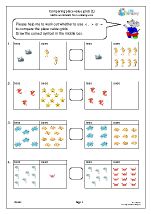 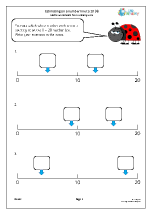 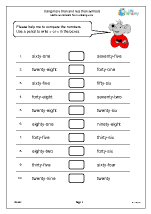 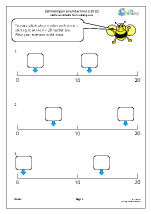 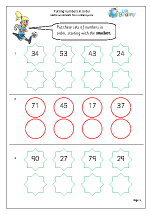 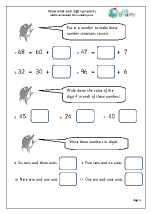 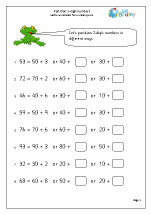 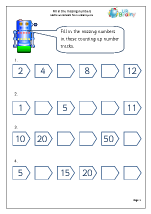 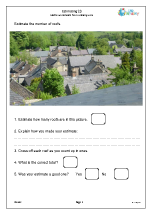 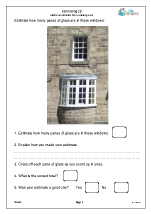 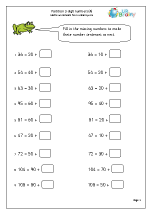 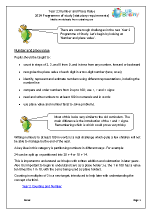 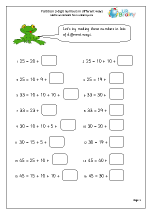 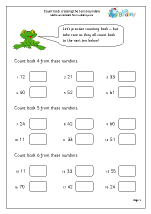 We have a great selection of worksheets on all these topics, so why not take a closer look?